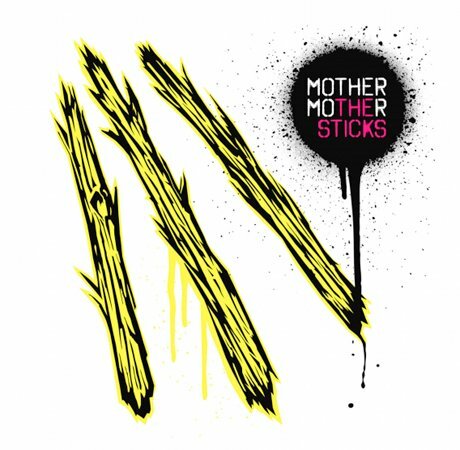 Vancouver indie pop crew Mother Mother are finally set to return with their fourth full-length The Sticks on September 18 via Last Gang Records. If you're dying to hear it now, however, we've got you covered with a full album stream. The Sticks was co-produced between the band's own Ryan Guldemond and producer Ben Kaplan, the latter of whom has worked with everyone from Shakira to Mudvayne. If you're worried that the album will sound like some sort of nü-metal/"Hips Don't Lie" cross-breed, however, fret not, as it still sounds like true-blue Mother Mother. As a press release explains, the 14-track LP "upholds Mother Mother's tradition of tri-harmony vocal arrangements and dynamic instrumentation, while making for the group's most eclectic and rich album to date." Check out The Sticks in its entirety below.